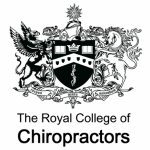 The Royal College of Chiropractors has launched a new Chiropractic Quality Standard on Chronic Pain, the latest in a series of RCC Quality Standards that aim to make it clear to patients, the public, healthcare professionals, commissioners and chiropractors what high-quality chiropractic care looks like. The Chronic Pain quality standard can be accessed here along with all the other RCC quality standards. An associated audit toolkit will be available shortly.